Screen Support grids are designed to provide sufficient strength to support catalytic beds under normal operating conditions while at the same time without creating any capacity restriction in the column. 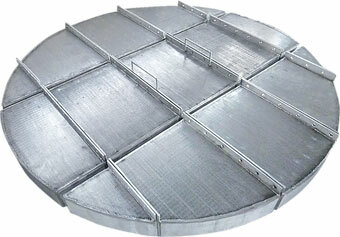 A suitable support grid selection depends on the type of catalyst as well as maximum design load. Our Screen Support Grids are designed as very tiny catalysts can retain on the Screen and do not drop from the slots. This equipment has better open area as can translate fluid directly into superior process efficiency.